Looking for a fun, easy activity to entertain your kids? Why not make your own play dough? With a few simple ingredients and a pot, you can make a ball of dough to entertain your kids. In a medium saucepan, mix the flour, salt and cream of tartar. 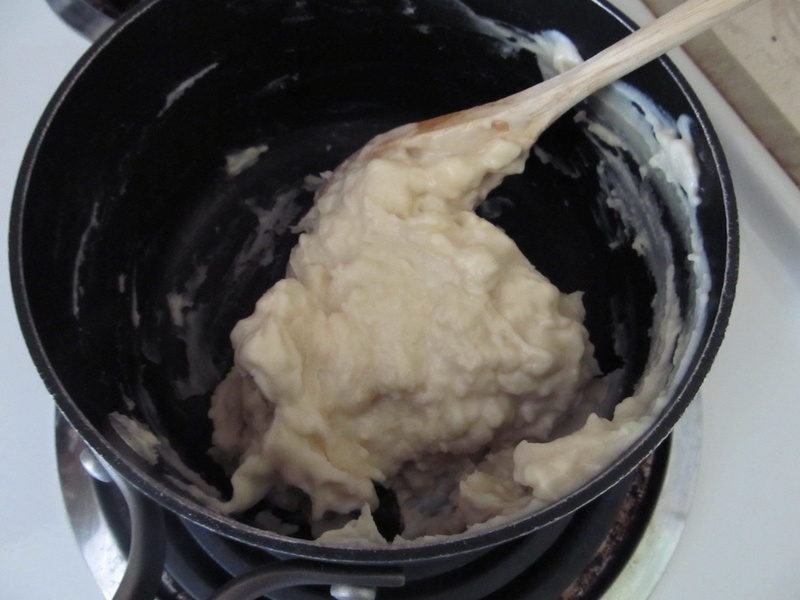 Turn the stove to medium-high and add the water and vegetable oil to the mixture. Stir constantly for about 5 minutes. . .the dough will start to form a ball in the pot. Once the dough forms a ball, dump it onto a lightly floured surface - be careful it's HOT. 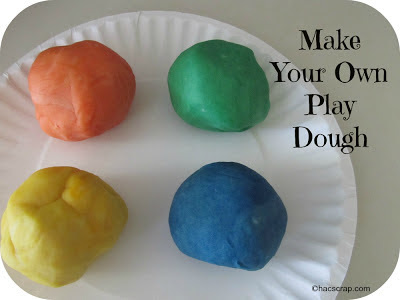 If you want to, you can divide the dough and color it with food coloring. 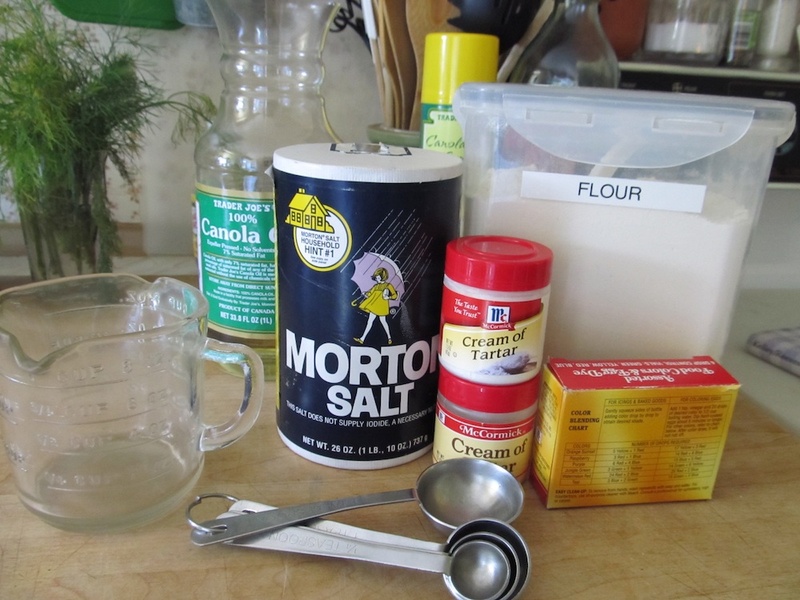 After playing, put the dough in an airtight container or plastic bag to store. 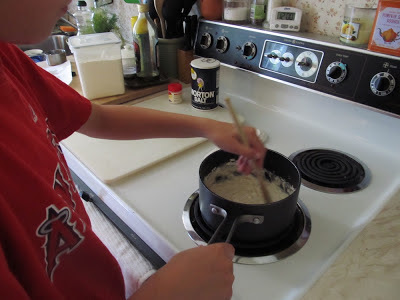 This is a great activity to teach kids to safely use the stove too. We do a lot of experiments during the year. 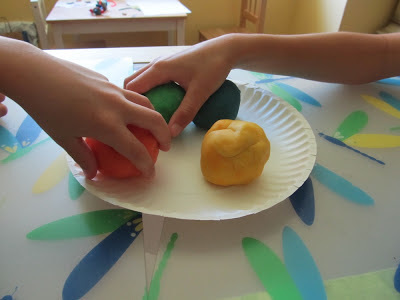 I'm a homeschool mom and play dough is a requirement in quite a few of them. Definitely, need to start making my own. I'm a co-host from Pin it Tuesdays! Thank you so much for linking up with us. I think everyone needs to have a recipe like this! It's a very good idea to be able to make your own. OMGOSH, I have all those ingredients currently in my house!!! WOOHOO! We used to make our own too so we could have one that does not have wheat flour since the branded kind contains wheat. So much fun to make! For some reason I have only been able to tolerate homemade playdough. My daughter's teacher has even made gingerbread and pumpkin. Good enough to eat! So fun! We love making play dough!